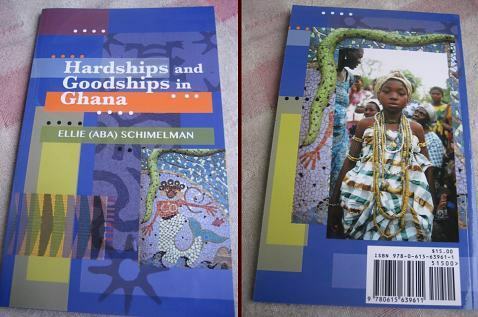 Hardships and Goodships in Ghana - by Ellie (ABA) Schimelman. This book is a collection of true stories from my many years in Ghana. It is meant as an orientation for those new to Ghanaian culture, and for those already immersed I promise a few good laughs. The title is a Talk True-ism. For those of you who have been to Aba House, you'll enjoy his autobiography. For the rest of you that chapter is the story of someone growing up in an African village.